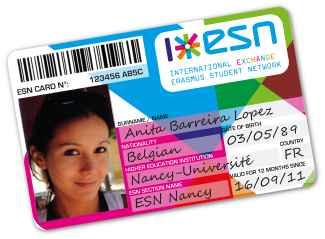 The ESN Card is exclusively issued for exchange students by ESN International. The National and Local levels are offering different discounts with the card, like cheaper excursions, parties, travel offers etc. For us it acts as a proof that the student is here in exchange and therefore it ensures that only those benefit from our services. Discounts on drinks in certain locations during our weekly pub or meetup. FlixBus is a European long distance mobility provider and a brand of the FlixMobility group. Since 2013, FlixBuses have offered a new, convenient and green way to travel which suits every budget. Thanks to a smart business model and an innovative technology, the startup has established Europe’s largest intercity bus network in lessthan four years. ESNcard holders are eligible for a 10% discount on any FlixBus journey! How do you get your voucher code? Go to www.esncard.org and register with your ESN card. Search for “FlixBus Switzerland” in the search bar. You can use your code only in the FlixBus App. WowTrip proposes a new and exciting way of travelling by offering surprise trips around Europe. WowTrip's offer includes direct flights + 4* hotel to an unknown destination disclosed when arriving at the airport or 48h before departure if preferred. Departures are available from Geneva, Zurich and Basel airports and our prices start from only CHF 200.- per person for 2 nights / 3 days stay. How do you get your discount? ESN Zürich is not responsible for the national and international offers. The offers can change without further notice.